Seven and I Holdings is a Japanese diversified and the largest convenience store fast-food operator in the world. Headquartered at Tokyo, Nibancho and Chiyoda in Japan. Established in 2005, the company is diversified services ranging from convenience stores, superstores, department stores, supermarkets, specialty stores, food services, financial services and IT services (pure holding company). The company recorded sales of 5.8 trillion yen and an operating income of 365.4 billion yen. The parent company is now ranked as the fifth largest retailer in the world. The seven eleven convenience stores are present across more than 15 countries, including the USA, Canada, Japan, countries in the South-East Asia region and Australia.7-Eleven signs light up about 63,000 stores in 17 countries and regions around the world. The company employs 54,448 employees as of 2018 across its diversified segments. 1. Strong Financial Performance and Strategy: Seven and I holdings has been a consistent performer in terms of revenue with operating income in FY 2017 being 5,835.689billion yen and growing to 6037.815 billion yen in FY 2018. The reported growth over 2017 is 3.5%. The Cash flows saw a decline from 512523 million yen to 498306 million yen in 2018.The superstore segment contributed to 1,901.1 bn profits, the department store profits were 657.8 billion, financial services showed a good performance with 202.9 billion, specialty stores with a profit of 416.6 billion while other segments contributed to 23.5 billion profits. The company follows a growth strategy which involves primarily expansion through mergers and acquisitions, franchising and enhances product line-ups in its stores. Seven and I group focus mainly on CVS operations in Japan and North America. The primary objectives lie to promote Omni-channel strategy, development of stores and promote each business category as well as geographic area. 2. Global market presence: Seven and I holdings has developed its global presence over the years. Seven and I holdings has been expanding its global footprint by using a strategy of strategic acquisitions and franchising. Starting in 2005, the company has diversified its presence across strong markets like United States, Australia, and Canada. The company has experienced a growth of 3.5% in 2018. There are 63000 seven-eleven stores present across the world in 17 countries. Further expansion in NorthAmerica is planned by the acquisition of Sunoco stores. Revenues from overseas convenience store operations decreased 8.9% year on year, to ¥1,658,542 million, but operating income increased 0.9%, to ¥67,421 million. In July 2016, SEI acquired the stores of CST Brands, Inc., in the United States, while in September Imperial Oil Limited of Canada was acquired. As a result, SEI’s store network reached 8,707 stores, as of December 31, 2016. 2. Impact of Change in economic conditions: There is a continuous change in economic conditions across various countries where the group operates. 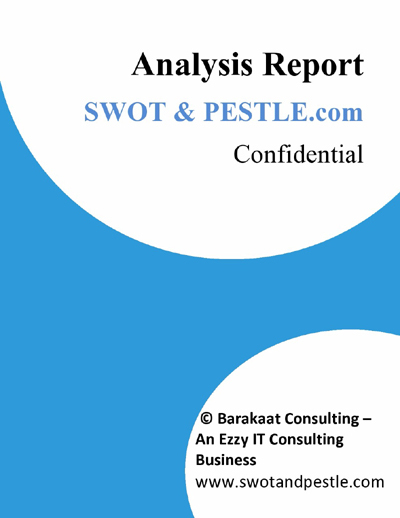 The group is in a strategic growth path by identifying consumer behaviours and adopting its sales strategy accordingly. Purchase power, consumer dynamics are some of the factors which may change as per the change in economic policies of the respective country. For example, Seven and I holdings have recently purchased many of the fuel retail companies in the strategy of vertical integration of its supply chain to offset its declining profit margins but external factors like change in prices as well as climate conditions may affect the operations. 1. Changing Consumer demands and preferences: Product Design quality and safety has been one of the major criteria of buying preference for customers. Increasing focus on buying convenience and product availability. Be it retail or even banking, customers are shifting towards more convenient services as compared to other brands. The Group has been working with business partners to differentiate its high-quality products and to create convenient services. The groups has been innovating its production, distribution, sales and their supporting information systems to cater to the changing needs of consumers and in lieu of the market competitions. Apart from this, to improve shopping experience the firm is renovating its store layouts. To improve the buying experience the firm has integrated financial services with retail services. The group has been promoting the use of the Seven Card Plus/Seven Card credit card, CLUB ON/Millennium CARD SAISON credit cards and nanaco electronic money. Consumer preferences have also shifted to healthier options and organic products. 2. Focus on product safety and labeling: Product safety and information about the product the customer buys are one of the major criteria which affect the buying behavior in recent times. Major retailers and manufacturers are ensuring proper quality checks and safety checks about the product. Especially the nutritional value, ingredients etc. about the product is what the consumer tries to avail while buying a product. Seven and I holdings endeavors to provide customers with safe products and accurate information of its food products as per the relevant laws. The group has taken special care of check of suppliers through an integrated product management system. Apart from its regular products, the group is striving to provide customers with new value-added and high-quality products and services through the aggressive introduction of Seven Premium private-brand products and original products developed by respective Group companies. Also, SEJ became the first convenience store chain to sell originally boxed lunches, rice balls and sandwiches free of preservatives and artificial coloring. Seven-Eleven, Ito-Yokado, Sogo & Seibu, York-Benimaru, York Mart, THE GARDENJIYUGAOKA, Seven Bank, Seven Financial Service, Akachan Honpo, Nanaco, Loft, Seven Net Shopping Co., Nissen Holdings, Seven & i Food Systems, OSHMAN’S, Barneys Japan, Francfranc, TOWER RECORDS, Seven & i Net Media, Seven & i Publishing, Seven & i Create Link, Terube, Gottsuobin Co. 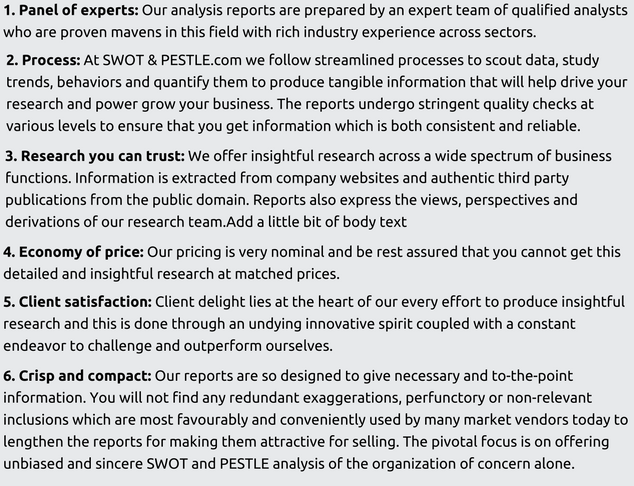 Seven and I Holdings SWOT and PESTLE analysis has been conducted by Soumya Surya Adhikari and reviewed by senior analysts from Barakaat Consulting. 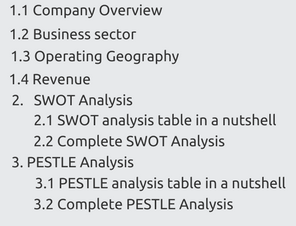 Copyright of Seven and I Holdings SWOT and PESTLE Analysis is the property of Barakaat Consulting. Please refer to the Terms and Conditions and Disclaimer for usage guidelines.